The word "hieroglyph" comes from the Greek ἱερός (hieros) meaning sacred or holy (i.e. from God) and γλυφή (glyphos) meaning carving. The truth is the hieroglyphs are not phonetic sounds and thus were never deciphered by Champollion using the Rosetta Stone. Instead the hieroglyphs are sacred logograms gifted to planet Earth by the cosmos. GodElectric.org unlocked the hieroglyphic code whilst being tortured from his true love by mind controllers, also in the direct aftermath of the Christchurch Manmade Earthquakes, when Gods Electricity was coupled into and used to kill and maim the innocent people for greed. GodElectric.org deciphered the hieroglyphs for positive and negative charge showing how the unique characteristics of the animals, plants and objects familiar to the Ancient Egyptian are used to present functions and natural principles of the Universe beyond. This was achieved in 2013 proving that we are not alone in the cosmos and that higher order supreme beings have supported life here on earth through electric discharge. GodElectric.org deciphered each hieroglyph carefully as a pictographic code, rather than just a phonetic sound or letter. The website is largely censored by the earthly powers of greed and the cartels that run the planet as they are guilty of iniquity infront of the cosmos and God. The GodElectric.org hieroglyphs have opened the door to all who read and understand it enabling the correlation of both male and female representations, explaining how positive and negative charge, magnetism, gravity, plasma, and even the Pyramids function as part of an Electric Cosmos with God. Negative Charge / Cathode (Bread) - Similar to an anion (-), from the Greek word "up", it means net negative charge. It is similar to what we understand as the electron, the hieroglyphs describe that charge can be contained in a standing ripple shown by the wave hieroglyph, evident from the Aten. 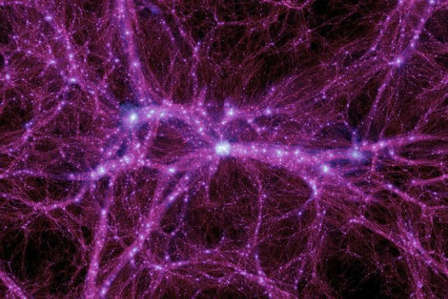 The flow of negative charge throughout the vacuum of space is shown by the Female Circuitry of the Cosmos. The Ra-Horakhty Papyrus shows how the collection of negative charge supports and powers the Sun, confirming Ralph Juergens theory of electric Stars. Positive Charge / Anode (Basket) - Similar to a cation (+), from the Greek word "down", it means net positive charge, like proton. Can be used to describe the Sun or the Stars as the anode or the ionosphere as the positive electrode. There is no hieroglyph for a neutral charge or neutrino. The capacitor action of celestial bodies in space and their ability to store charge is explained in further detail by Nephthys. Collector (Ostrich Feather) - In about 600BC the ancient Greek philosopher Thales of Miletus became aware of electricity, discovering that when amber is rubbed and held close to a feather, it pushes away the feather’s electrons. The feather becomes positively charged and is attracted to the amber. Electricity was also a familiar concept to the Ancient Egyptian, who chose the Ostrich Feather when making feather dusters. 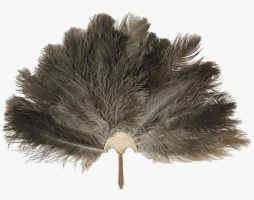 Ostrich feathers are impractical for use as a fan, but make very effective dusters because of their intrinsic ability to hold electrostatic charge. The duster works because opposite charges attract, allowing for the collection of dust particles, the Ostrich feather has a tip that bends over under the weight of collected material and therefore is deciphered to mean a 'collector'. The symbol of a wing made of feathers joining to a star can be seen in the records of ancient cultures residing in various regions of South America as well as Australia. It represents how the the Sun and its flight is powered by collecting charge. An example of this is shown by placing the Butterfly Nebula M2-9 with its visible glow discharge alongside the Winged Sun. The electric nature of birds and their anatomy explain the founding principles of electric Stars, this concept is explained in further detail by Horus. Support Electric Potential (Ibis Bird) - Known as Thoth. The bill of the Ibis bird is theorized to have electro receptors like the Platypus in order to detect its prey. Ampullary electroreceptors allow response to low-frequency electric signals that are generated by animal nerves and hearts. For this reason the Ibis bird is also used to describe the heart of Ra as it is used to describe the Electric Potential or Voltage of a star. Plasma (Rectangle) - 99.9% of mass in the Universe exists as Plasma and because of this Plasma is represented as a large rectangle meaning the large area of space. Plasma is the 4th state of matter after gases, made up of free electrons and ions, or positive and negative charges plasma is a conductor of electricity. Plasma Link (Plasma Connection Circuit) - Usually drawn above door openings to represent a link or connection, the sky is a network full of electrical connections made using plasma and this was not understood by scholars in 400AD that originally thought this hieroglyph only meant the sky or horizon. 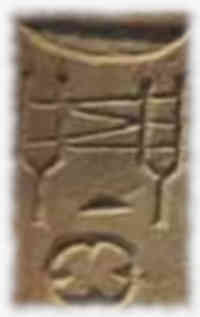 It is Satellites like Themis, and conclusive proof that Space consists of plasma connections, that allowed this hieroglyph to be confirmed as meaning the plasma link. See Nut. Confined Plasma (Confined Rectangle) - Plasma containment refers to the act of maintaining a plasma in a discrete volume. 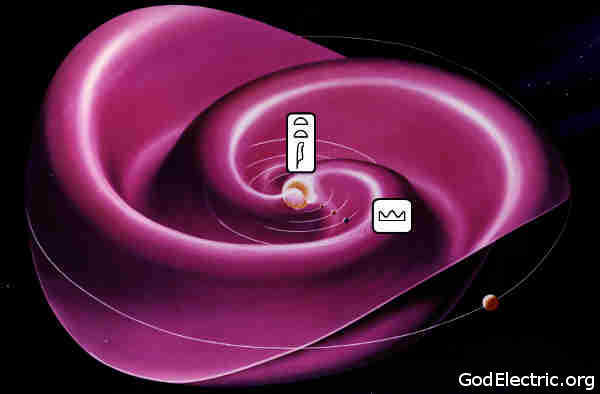 The hieroglyph was traditionally seen as a river, rivers in space are plasmas confined by magnetic fields. Birkeland Currents are explained by Hapi, they form as confined plasma or rivers in space. Plasma Pinch (Pinched Rectangle) - Type of plasma confinement that uses an electrical current in the plasma to generate a magnetic field that compresses it. Known as the Z-pinch because of the direction of current flow in the Z axis, it allows the formation of stars to occur in an Electric Universe and is further described by Sobek. Support Life (Ankh) - The cross means life and the loop is the support. Whatever is shown inside or through the loop is an aspect of the Electric Universe supporting life. The Ankh shown below is an example, it shows Khepri supporting the stars, describing the electric current of the cosmos supporting life. The Ankh is used throughout Egyptology to explain the fundamental purpose of the hieroglyphs and the Pyramids, to support all life in the cosmos. Structured Plasma (Propped vertical rectangle) - Shown in front of stars and on top of pyramidions it is defined simply as Structured Plasma and can be understood as the intergalactic power line or Gods Electricity. This hieroglyph is depicted in temples as a propped blue rectangle made vertical by a brown support. All rectangle hieroglyphs define a type of plasma, this is because a rectangle is a large area it represents the plasma that is 99.9% of the Electric Universe. Isis and Osiris are male and female components of Structured Plasma, meaning the Electric Universe exists through love. Resonance (Mat) - A square stone is equal sided meaning all sides represent the mean or average. The natural frequency is the frequency at which a system tends to oscillate in the absence of any driving or damping force. Magnification (Lion) - The Lions roar is one of the loudest noises any animal on Earth can make. It is so loud that it can be heard over five miles away from the lion! It has nothing to do with lung capacity, they actually have an unusual set of vocal cords which have a flat, square shape, magnifying the sound more efficiently converting lung pressure into acoustic energy. The Sphinx, defines the magnification to the East like an ionospheric wave guide because it was constructed as a single stone statue located below ground level. Weak Electric Field (Quail) - The Quail is a migratory bird from the Phasianidae family. Birds from the Phasiandae family are primarily ground dwelling. It is known since ancient times that Quails migrate and are heavily influenced on the wind, and therefore represent the weak electric field. An attribute of an electric field is seeking a plasma connection and explained by the hieroglyphs for Shezmu. The violent character of Shezmu is representative of 'short circuit' in a capacitors electric field and is explained as the wine press (discharging stored electrical potential). 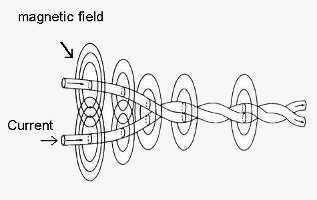 Electric Field (Swallow) - Describes the electric field that pervades the Aether, the dielectric vacuum of Space. The electric field is created by electric dipoles or positive and negative charges explained for example by the explanation of the Aether in Nefertari's Tomb. Strong Electric Field (Peregrine Falcon) - The electric force is 39 orders of magnitude stronger than the gravitational force and is shown by Horus. Projector (Open Mouth) - Mouths are primarily used to project sound, therefore this hieroglyph means projector. Sun - (Solar Torus) - The polar view of the sun in ultraviolet shows the equatorial plasma current ring or torus surrounding the positively charged Sun. Illustrations describing the Sun are often drawn on a perpendicular axis in Egyptology, proving that the hieroglyphs came from the cosmos and not an earthbound civilization. See Aker. Ejection (Dilated Cobra on Anode) - Portrayed as rearing up and with its hood expanded representing the verb ejection. 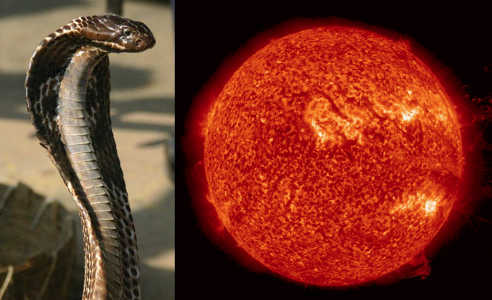 Ra depicts the snake encircling the surface of the sun showing the Snake as the Corona, this hieroglyph therefore describes Coronal Mass Ejections or CME's from the Sun. The basket the Snake sits in represents a positive electrode, or anode and is explained by Ralph Juergens electric model of the sun. Electrostatic Negative Charge Collector This is not an emblem of the West. It combines the hieroglyphs for 'electrostatic negative charge collector', describing the action of the electric field that powers the Sun shown by Amentet. Capacitor - Negative charge hieroglyph within an enclosure supporting the positive charge hieroglyph. 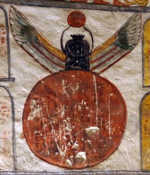 Both the Earth and Sun are described by the hieroglyphs as spherical self repairing capacitors, see Nephthys. Djed Column (Dielectric) - The Djed Column is the Dielectric Insulator, the insulating medium that exists between the two plates of a capacitor where the 'Regenerative Power' is stored in an electric field. 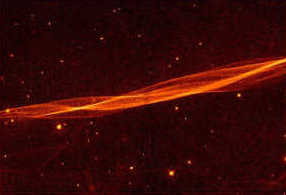 Birkeland Current (Twisted Flax or Reed Plait) - Is drawn in illustrations either side of the sun, Birkeland Currents have since been confirmed by spacecraft Ulysses. In nature this represents filamentary rope-like magnetic structure and are also known as field aligned currents, magnetic ropes or cables and facilitate the transfer of longitudinal waves and negative charge. The properties of Birkeland currents are explained in further detail by Hapi, Heqet and Ptah. Perforate / Inject (Horned Viper) - The Viper has a number of special characteristics, but it is the Venom delivery system of Vipers which is highly developed. Like a hypodermic needle, they have a hollow tube within their fangs to inject the venom - rather than spitting the venom like the Cobra. 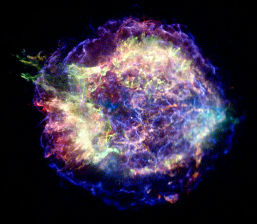 This special characteristic is used to describe how charge penetration occurs in the universe. I.e. Instead of like charges simply repelling,. this hieroglyph is used to describe the action of penetratring sheaths and double layers around celestial bodies or the action of birkeland currents and even the function of Pyramids when charging up celestial bodies. Light (Lotus) - The lotus flower closes at night and sinks underwater with petals that beautify the dark representing light in the dark of space. The lotus petals on the Taperet Stele below show the spectrum of light emitted from a star, and you will often see sarcophagus with red and blue lotus flowers decorating the outside to show the different light emitted from stars. Wave (Ripple) - In physics, a wave is an oscillation accompanied by a transfer of energy that travels through space or mass. Frequency refers to the addition of time. Wave motion transfers energy from one point to another. Ancients traditionally understood this hieroglyph to only mean water, it is however a ripple and is correctly understood as the wave. For more information about the wave see Neper. Charge Store (Pot) - Pots are stores and represent celestial bodies such as the Sun acting as a sink or store for negative charge delivered by the female circuitry of the cosmos. 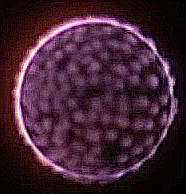 The Anode Tufts in the photosphere (pictured below) represent the sink for negative charge in the electrical model of the Sun. Ancient texts show the Sun as a pot being filled with negative charge, only to be fed to a Crocodile known as Sobek, which represents the stellar pinch. Supported Charge Store The loop is the support, and the pot is the charge store. Planet Earth is an example of a supported charge store with its capacitor action explained by Nephthys and hundreds of Pyramids constructed on its surface on all sides of the globe. Current/Charge Carrier (Pot on Legs) - A charge carrier is carrying an electric charge, thought of as particles that carry electric charges in electrical conductors. Examples are what mainstream science term electrons, ions and holes. In a conducting medium, an electric field can exert force on charges, causing a net motion of the particles through the medium; this is what constitutes an electric current described by this hieroglyph. See Anhur. Surplus Charge Store (Jug) - Jug described by Khnum describes a double layer that is store of 'surplus charge'. Vortex (Spiral) : Whirling charge vortices, see Set. At the most basic level, electric currents are the prime cause of rotational movement in the universe. Connection or Spark Gap As a Door Bolt its either open or closed and therefore represents the action of a spark gap connection. Plasma Sieve (Ionosphere / Photosphere Hole) - Shown as a circular sieve it explains the action of the spherical plasma sieve around a celestial body that allows some radio waves to penetrate the celestial body while reflecting others. When this hieroglyph represents the Earth, the action of a sieve represents the ionosphere. 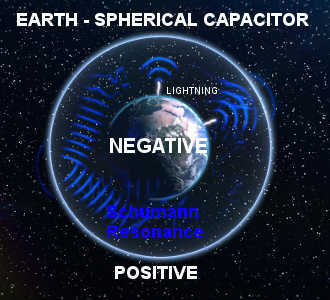 The ionospheric sieve that encloses the entire spherical earth is not at all uniform, holes can be opened up in the ionosphere allowing what we term electron precipitation, but is in reality any negative charge being sifted through holes in the ionosphere, this creates charge vortices described by Set. The Sun also has a similar layer called the Photosphere, this is the lowest layer of the Suns atmosphere and is about 500 km's thick. Coronal holes are areas where the Sun's corona is darker, and colder, and has lower-density plasma than average because there is lower energy and gas levels. The sun contains magnetic fields that arch away from areas in the corona that are very thin due to the lower levels of energy and gas, which cause coronal holes to appear when they do not fall back. Thus, solar particles or solar wind escape and create a lower density and lower temperature in that area. [described in further detail by Sekhmet]. Life The cross means life. Can be thought of as the electric soul created from the Wedjat or senses. Gravity Supporting Electric Discharge (Foot Supporting Emptying Pot) - The hieroglyph describes the clockwork of the Solar System, electric discharge governed by gravity is shown by the foot (gravity) supporting the electrical discharge of a store or pot or Kawab. 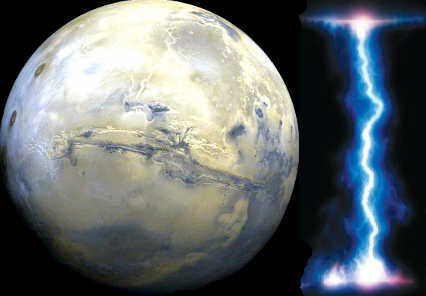 Electric discharge supported by gravity is clearly visible on the surface of planets as scars formed by electrical arcing, an example of this machining is Valles Marineris on Mars photographed below. Operate Gravity (Foot and Arm) - The hieroglyph describes how gravity can be operated or manipulated because it is an electrical phenomenon. This is described in detail on the south wall of Teti Pyramid, it explaines that Earths Gravity has been absorbed as one function of using Pyramids. G is not a constant. Entrapment (Duck or Goose) - Ducks and Geese have a special gland positioned near their tails, called the preen gland. This gland produces an oil, which ducks rub over their feathers with their beaks to maintain their waterproof effect. This oil creates a protective barrier that stops feathers becoming waterlogged, causing the repulsion of water and entrapment of air, allowing buoyancy. These waterproof feathers insulate the bird from water and cold temperatures. Entrapment in the cosmos howver, can be due to gravity and is explained by Geb, which refers to the orbit. Geb has a shrine in Bata in Iunu, where he is known to have laid The Great Egg, meaning the orbit facilitated the creation the plasma insulator shell that shields the planet from electrostatic interactions in space. Lightning / Arc Mode Discharge - Explained by Meskhenet. Lightning is a sudden electrostatic discharge forming a plasma. 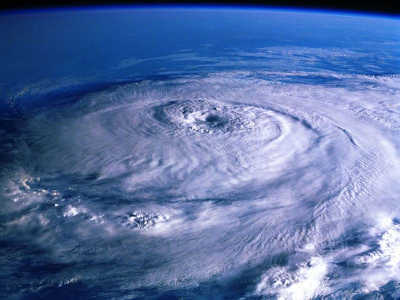 Charge builds up in the atmosphere, the cloud height naturally changes in response to variations in the atmospheric electric field, indicated by Nephthys. Global thunderstorms are not the cause of that field, they are an effect: clouds short-circuit the atmospheric insulator over a height of many kilometres. The vertical winds in thunderstorms are principally electrically driven and described by Set. Produce (Sickle) - Shown as the tool used to harvest Wheat, in the fields of the Duat or Aether. It therefore has the meaning of Production / Produce. Enclosure - In plan view it defines the perimeter of a Pyramid Complex. Used to represent the enclosure it often represents the heliosphere. (Above) Simple model of a filamentary current structure in a low-density plasma known as a Birkeland Current. 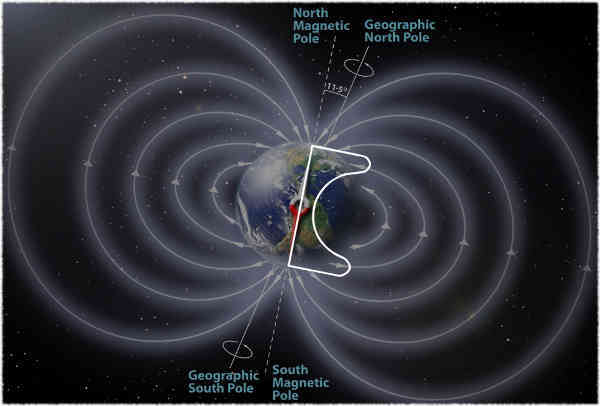 Currents flow parallel to the magnetic field. The lines in the figure represent both current paths and magnetic field lines. 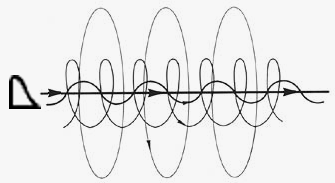 The magnetic field derives partly from an external axial field and partly from the toroidal field produced by the current itself (see Alfvén and Fälthammar, 1963). The current is strongest at the axis and becomes weaker further away from the axis as depicted by the decreasing thickness of the lines. 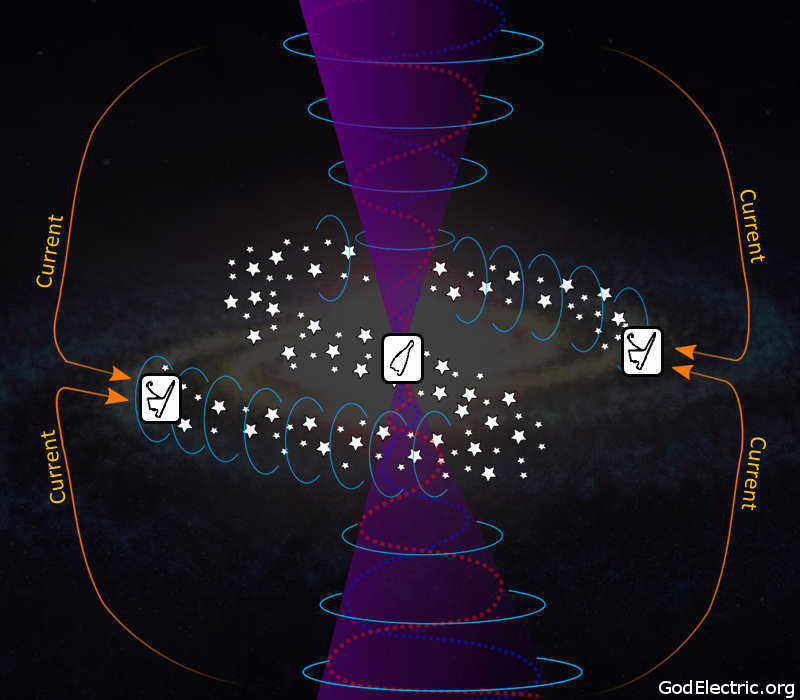 The hieroglyphs describe these field aligned currents, for example Anuket describes the field aligned current flowing through the Galactic Arm of the Milky Way. The properties of field aligned currents are explained in further detail by Heqet and Serket using this hieroglyph. Magnetic Dipole (Double Hill) - The twin peaks are the magnetic dipole, this arrangement has nothing to do with a constellation or horizon but actually explains the dynamics of magnetism in the Universe. Each mountain peak represents a pole of a magnetic field. The peaks and troughs provide an indication of the mountains in a cosmic realm, as you move with or against the magnetic fields. Scavenge - The vulture is a scavenging bird of prey and is used to describe the method of searching for negative charge. It is a bird that wastes nothing and waits for the larger scavenger to eat first. Another interesting attribute of the vulture is its bald head, this is a misunderstood trait that has likely evolved due to the requirement of detecting the emotions of surrounding animals whilst scavenging. Scavenging is a vulnerable moment in a vultures life as it is judging when to begin consuming its meal, too early and it risks being killed by the hungry predator, too late and the other vultures crowd the kill. Because of this it has evolved a bald head and a higher sensitivity to the longitudinal electric fields of the animals surrounding it. See Mut. Seek The owl has extraordinary eyesight and widely believed to have the best night vision in the animal kingdom, very efficient at collecting and processing light. In fact, the eyes are so well developed, that they are not eye balls as such, but elongated tubes fixed to the head. The owl must rotate its head in order to see and has 70° binocular vision. In owls, the fovea is on the upper part of the retina, so things below the owl appear exceptionally clear. This helps them hunt on the ground. When owls close their eyes half way, they block out the sky and some of the sunlight, but can still see the ground below perfectly. The Owl as part of Ammits name describe the ability for a star to 'seek' negative charge. Stars are only tiny sparks in the immensity of space. For example, at a scale of one inch to one astronomical unit (the distance of the Earth from the Sun), the nearest star would be four miles away and the Sun would be the size of a dust mote, about a hundredth of an inch. 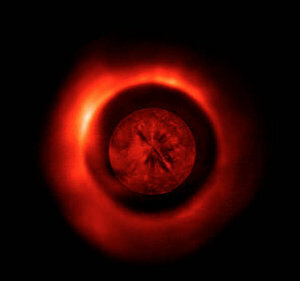 Plasma Shell Insulator - Egg is a symbol of an insulator, as plasma sheaths act as egg shells shielding planets interiors from external electrostatic influence. 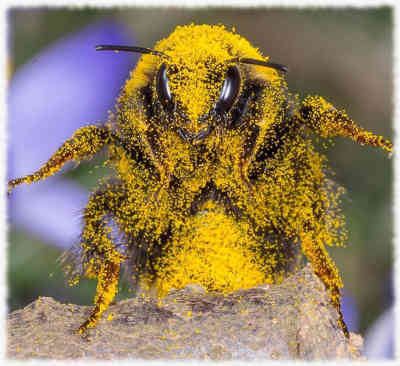 It is also proposed that Khnum created the first egg from which the Sun Ra was born. Operate (Arm) - The arms are how objects are operated. God (Flag) - This hieroglyph has traditionally always been understood and deciphered as meaning God [Citation], and represents the spirit of love worshiped in truth. God is shown at the start of creation 'Hu', the hieroglyphs describe many times how it is Gods Electricity that powers the Stars [Ramesses]. 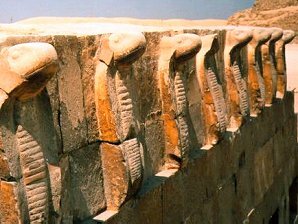 The hieroglyphs explain how God regulates negative charge, and therefore Voltage (Thoth) of galaxies, stars and planets maintaining the Universe through principle of Osiris explained in places like Karnak Temple. God can also change celestial mechanics including gravity, position celestial bodies and transmit messages in the form of thoughts or the Wedjat since before human civilization first began [Teti Pyramid]. The hieroglyphs describe "guiding the galaxy by moving the connection of manipulated negative charges of many different lands using plasma link monopoles" [Osiris]. 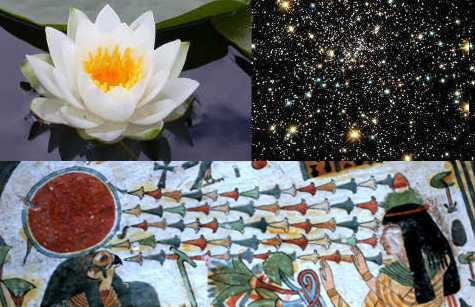 God is also described by Osiris, an attribute of God is watching the Structured Plasma of the Universe, when combined with Isis, the fields of the Duat show the harvest of energy from the Aether that supports the stars and how we exist through love in the cosmos. Isis and Osiris have the same hieroglyph forming the basis of their name, together they maintain the structure of the Universe and the intergalactic power line. The beautiful circuitry of the cosmos is expressed through the female form, sometimes they have their breasts exposed as milk represents the electricity that nourishes the planets and stars. The universe also explains how the Stars are powered electrically in Book of the Suns Electric Field. It is emphasised that without God as the spirit of love, construction of Pyramids as Electric discharge structures would never have occured on planet Earth, and it is unlikely any life would exist on Earth today. For further information on the spiritual wisdom of the universe as love rather than just the physics of truth, my advice is you should study a Bible and Jesus Christ. It is likely that the number of Flags dictate the order of power, defined by the electric circuitry of the Birkeland Currents in the Universe, (e.g. 1 Flag = Cosmos / ordered circuit the power of our Star, 3 Flags could be the power of the galactic Arm, 9 would be the birkeland current our galaxy is on etc etc). Electrostatic - Folded cloth generates electrostatics. Gravity is radially oriented electrostatic dipoles as shown by Bes. Tyet - Knot of Isis - The Tyet represents the circuit of the cosmos supporting all the Ankhs and thus life in the cosmos, this electricity is provided by Isis along the structured plasma of the cosmos. Stability - This is how Egyptians would have stabilized items they carry on their head. Therefore this hieroglyph represents electrical stability. Received Power - Set is often shown at the top of the sceptre on the handle, defining negative charge as received power. An example is the Jury in the Book of the Dead, now accurately deciphered as the Book of the Suns Electric Field. They all hold the Was or Sceptre indicating the receptor of negative charge. Projected Power - Sekhem is the word for power, and the Sekhem Scepter is described by Sekhmet as projected power. [Negative Charge Release] In 1785, N. Rouland constructed a silk-belted machine that rubbed two grounded tubes covered with hare fur. Hare fur is used to create static electricity, becoming positively charged as it gives up electrons from its surface. Glow Discharge - Can be used to describe lightning. Resonant Induction - Anubis is shown on the surface of the hieroglyph. Star System (Cow Leg) - Resonant and connected by a plasma link, like an arm of the Milky Way, often drawn with 6 stars inside the arm. If the arm is cut off the whole Cow dies. The rear legs are the outer galaxy, and the front legs the inner galaxy. Galaxy (Hesat the Cow) - The tranformer of electrical nourishment. The Ancients use milk and its creation as a metaphor for describing electricity in space and the function of the Milky Way Galaxy. Neith, Nut, Hathor, Serket and Isis provide the electrical connections in space, allowing current to flow. Because of this their breasts are normally shown exposed to represent the nourishment or supply of electricity to planets and stars within the Galaxy. The Cow is normally drawn with stars on its belly, with its four legs being the pillars that keep the cow alive, should one leg be removed the whole cow will die. The horns are present on the cow because the hieroglyphs describe a Galactic Heliosphere or electric field enclosure, also the cow is often positioned inside the hieroglyph symbol for a bipolar magnetic field. Outer Galaxy (Deshret) - Relative to Earths position it is the outer galactic circuit. Anodic Galaxy (Pschent) - The Basket supporting the Pschent defines both the inner and outer Galaxy as anodic to the space surrounding it. Stars in the Milky Way Galaxy are anodes in a galactic glow discharge. Sew Charge (Hoe) - To plant. Grow (Wheat) - Archaeological research indicates that Wheat was being farmed in Egypt's Nile Valley since before 5,000 B.C. The Wheat plant is shown at different stages of maturity likely to indicate the different growth. The Fields of the Duat or Aaru depict Wheat fields being harvested showing how charge is supplied to celestial bodies powering planets, stars and galaxies. Pyramid - Electric discharge point on the Earths crust described by Anuket, Sopdu and Sopdet. Hieroglyph Y3 - Supporting a charge store and its electrostatic resonance using projected power. The pot is shown with a loop with the sceptre through it, showing that a charge store is supported by projected power. Offer Charge (Offering a pot) The pot is a charge store, or discrete unit of charge and the arm is to operate. This therefore has the meaning to offer charge. One example is Pepi I Pyramid and the statue showing how charge is offered to planet Earth from the cosmos using Pyramids. Separation (Tether) A tether is used to maintain separation, when associated with the wave hieroglyph it describes the action of a pulsating wave or Pulsar. See Montu for more information on Pulsars. Device Indicating Electric Field Conditions (Sistrum) The Sistrum is not a musical instrument. The Greek σεῖστρον seistron; literally means "that which is being shaken" - Not meaning that which you must shake, but that which is being shaken (obviously) by electric field conditions due to the metalic rods and high energy electric events that can happen on the Earth. Plutarch said, that the shaking of the four bars within the circular apsis indicated the agitation of the four elements (water/sea, air, ground, fire) within the magnetic field or compass of the world, by which all things are continually destroyed and reproduced. The Sistrum is therefore a receiver or detector of the Electric Field conditions that drive climatic systems on the Earth, such as large storms, earthquakes and volcanoes. Hathor as the 'Strong Electric Field Enclosure', is shown supporting the Sistrum and Nephthys was said to be the home of the Sistrum, Nephthys defining the capacitor action and the creation of an Electric Field that the Sistrum reacts to. The device was not shaken to scare off Set, but rather the 'agitation' of the metalic bars detected the presence of Set, as he influences electric field conditions. As the Snake ejects from Ra (e.g. Coronal Mass Ejection), the sun charges the plasmasphere, releasing charge from Set causing the Sistrum to rattle and shake as a precursor warning to a electrically induced natural disaster or large weather system. Traditionally seen as the ships mast, explains how charge is transferred to stars. For further information see Anubis. Dark Mode Discharge? (Lotus Plant) Lotus plant with inward bud. You are welcome to use the information provided freely at GodElectric, we only ask that you reference any ideas or material used, thank you. Summary page available at Hieroglyphs.info.